Although the drug is yet to to be officially approved by the FDA, Gabapentin has still managed to pick up a following, and a fair amount of positive reviews from people suffering with opiate withdrawal symptoms. 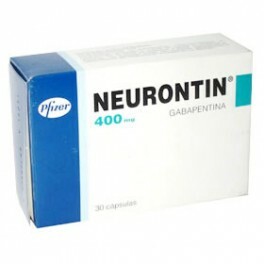 Also known as Neurontin, this unregulated drug is responsible for helping hundreds of people who are on the receiving end of the wrath of opiate addiction, but is it really safe to use Gabapentin for opiate withdrawal? Whilst addiction is generally thought of as a purely psychological dependency on a specific drug, when it comes to opiate addiction, the effects are both psychological, and physical. Opiate withdrawal symptoms are always uncomfortable, but it’s not uncommon for the symptoms to be so painful, that it’s easier to stay addicted to the substance rather than trying to kick it. 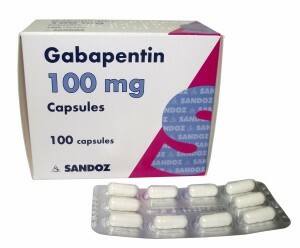 Gabapentin is known to relieve the pain of opiate withdrawal, by slowing down, and reducing the amount of pain signals which are sent from your brain, to the rest of your body. According to research from Tuff’s New England Center, a neurotransmitter chemical in your brain known as substance P, is the one which is responsible for the pain felt during opiate withdrawal, by sending pain signals through the body, via it’s nerve pathways. Regular consumption of Gabapentin, in the right doses, is believed to help reduce the amount of substance P that is released by the brain, ultimately dampening it’s effect on the user. However, the effectiveness of Gabapentin is yet to be proven, and since everyone’s body will react differently to every type of drug, it is hard to determine whether or not this drug will help you in your battle to ease the symptoms of opiate withdrawal. Some people may experience an immediate lift in mood, and pain relief, while others will experience absolutely nothing. How Much Gabapentin Should I Take? Again, the dosage amount will differ dramatically from patient to patient, with some experiencing huge pain relief, while others experience none at all. While the majority of users who have reported their experience claim that a dosage of 800mg is sufficient for relieving pain, others have claimed that they feel no benefits from anything less than 1200mg. As a rule of thumb, you should start on the lower end of the spectrum, and slowly increase the dosage amount accordingly. Choosing Gabapentin for opiate withdrawal is a personal choice, and the lack of research surrounding the effects of this drug on the human body is still very limited. However, it has been recorded that Gabapentin has little, to no risk of becoming addictive, but because the medical research is non-existent, it’s worth doing your own due diligence if you are interested in trying this drug for yourself. As with any other form of medication, regardless of the dosage, it’s always recommended to taper the dosage of the drug slowly, over the space of a few days, to a few weeks, depending on how long you have been using it for. During treatment, your body will start to get used to functioning under the influence of Gabapentin, so stopping it abruptly could lead to more severe withdrawal symptoms. Unlike other methods for dealing with opiate withdrawal like Kratom, which have been thoroughly tried, tested and proven to work, Gabapentin is still on the fence in terms of it’s effectiveness. The reviews from other users are mixed, but for the ones who had a positive experience, the benefits far outweighed any of the associated risks. However, the question of whether or not you should use Gabapentin for opiate withdrawal is still up in the air, so the choice is completely yours.